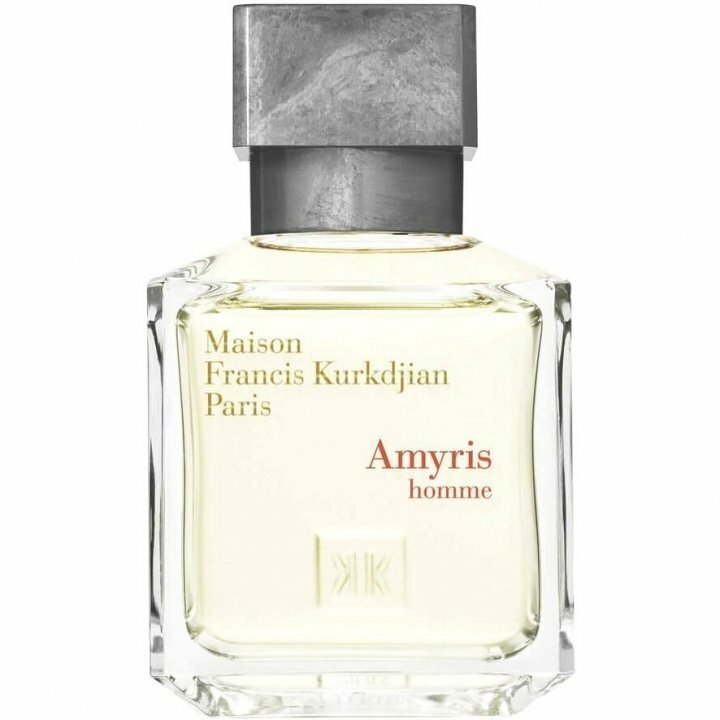 Amyris homme is a popular perfume by Maison Francis Kurkdjian for men and was released in 2012. The scent is fresh-sweet. It is still in production. Again a report from me about a Kurkdjian. A brand that I appreciate very much and all find very good. I had already ordered a sample of this fragrance last year and tested it extensively. I waited with a comment, because he was really a buyer, but I pondered for a long time if I would buy him. Now I've put these on. At the moment there is nothing in sight of spring, but the warm early morning and early summer will come. Especially with fresh scents I prefer much cheaper ones, especially because you can get great scents for little money. On the other hand, fresh niche fragrances are usually not performance monsters and sometimes evaporate even faster than designer fragrances. But what MFK has to offer convinces me. This one gets approx. between 120 and 140 euro a 70ml. It's a pity that the 200ml version is not available, as is the case with some MFKs. Especially since many MFK's have a high suitability for everyday use, this would have been a great low-cost alternative. Nevertheless I have finally decided to buy. The bottle is typically MFK. Chic cardboard and the bottle is simply chic and looks quite expensive and elegant. For the collection a high-quality bottle. The fragrance is fresh with pleasant delicate sweetness, wood and many other facets that act in the background. I wouldn't have guessed niche in a blind test. Not because he's not noble or of high quality, but because he's a guy. He does not have this mega-extravagant and should also please the fans in the designer department. It already has something special, even something unique and there is no exact fragrance twin to this fragrance. Fragrance title is Amyris. I know the name of a fragrance, but I don't know exactly how it smells in its pure form. The description reads great and is a bit more exotic because not so many scents contain this note. Over a long time it is quite monotonous without development, which I like extremely well with this smell. The DNA of the fragrance is simply very well-groomed, suitable for everyday use, gentle and yet seductive due to this gentle, high-quality sweetness. There are other pyramids on other sides where this fragrance also contains coconut, milk chocolate, coffee, oud and oranges. That's quite possible. Oranges could be responsible for this beautiful, slightly citric freshness. The coconut vibe could also be included for a light tropical feeling. Also milk chocolate: The sweetness is not too sticky, is rather bitter-sweet and goes well with the soft iris and rosemary. In general one should not concentrate too much on the pyramid. Very balanced and a perfectly groomed companion. Towards the base it gets a little heavier when the freshness gives up the spirit. Performance is absolutely fine for a fresh fragrance but also not perfect. In the fresh area there are far better and worse. Shelf life should be about 6 hours, where the Sillage is really good for the first few hours. Since the fragrance DNA is very gentle, it is difficult to overdose this fragrance and it is absolutely suitable for everyday use for work and leisure. He's not really masculine. Like most Kurkdjians he is very gentle with a strong unisex touch. In the MFK range there are many unisex fragrances that drift more into the feminine. With the exception of masculin pluriel, all of the men's fragrances are perfectly suitable for unisex use. A matter of taste. In any case a really great brand. A fabulously fresh scent which I assumed on first sniff was for women, but no, it's for men. I suppose the strong citrus/herbal character IS more classically male than female, but when hubby handed a paper of it to me just now (we're enjoying sniffs of what we hauled home today and yesterday, including many samples), I said, "This is for women," I was disappointed when he told me otherwise. I adore the Rosemary here and the lemon I smell under the Mandarin (or is that Amyris? must get some in). The woods are delicious, whatever they are. My guess? Cedar, mainly. The overall effect is what most people mean by the word "bracing." It's a breezy creation with quite, quite, quite appealing smells wafting up from a lovely heart. I suppose it has a slightly old-fashioned edge, but it's still a joy to experience. Opens with a light citrus note layered over an aoud-tinged woods accord. The opening reminds me of Colonia Oud by Acqua di Parma. Once the citrusy top note has vanished I see a blend of aoud and sandalwood enhanced by a few well-chosen spice and herb notes. I like the velvety softness and the subtle warmth of Amyris Homme, it is soothing and comforting. Oddly enough the fragrance becomes thinner and sharper as it progresses towards the dry-down. I guess that once the powdery iris and the smooth tonka bean have vanished there is nothing left to cover the scent's skeleton of synthetic woods and dry rosemary. Thankfully this unpleasant moment of unbalanced bareness is brief, for somehow the fragrance regains some of its initial plushness and ends its development as a calm woodsy-herbal skin scent. The gender pairing in perfumery always bothers me. My general complaints revolve around mistaking the arbitrary for the essential. Dresses/trousers. Pink/blue. Princess ballerina/andro-jock. It’s all bad fiction to me. Must an idea be tailored in different ways for men and women to understand it? Please don’t feel the need to do it on my account. Or is it just marketing? Take a perfume brief. Make two versions of it. Sell one to men and one to women. Is it just a jaded practicality that’s intrinsic to marketing? Amyris Homme plays with the same set of ideas as Amyris Femme and can be considered its counterpart. They both juggle fruity and woody tones and they both play delicately with convention. Apparently, both the gyno and andro versions are based on torchwood or amyris, some botanical thingamabob that very few people would know of. I suppose it’s the açai berry of perfumey. Homme is interesting for the way it manages to be sweet and sour at the same time. It feels sugared, not so much a flavor as a degree of sweetness. The sweetness seems like an attempt to compensate for an inherent tartness in the same way that sweet-tea in the American South is so heavily sugared that the tannin of the tea is undetectable. Like its girly counterpart, the boy Amyris uses fruity, watery, woody scents that are almost melon-like and yet creamy in tone. They come within a hair’s width of a conventional sensibility. It is this nearness to normalcy that makes the two so fascinating. Are they subversive? Are they conventional, giving you what you recognize, but one centimeter beyond what you’ve already experienced? I can’t quite tell. Was This Really A Francis Kurkdijian Composition? Amyris Homme opens with a very fresh light herbal rosemary note coupling with a bright bergamot-like orange citrus giving the scent an overall almost herbal aquatic vibe. The herbal citrus open remains into the early heart notes, before a synthetic dry woody accord from the base starts to peep through and then dominate the scent through the mid-heart notes through the dry-down as the top notes finally disappear, joined by a supporting slightly powdery iris. Projection is below average and longevity is excellent. Amyris Homme starts out very nice, and its fresh rosemary and citrus opening had me liking the scent from the start... Unfortunately its dreaded synthetic dry-woody accord (almost certainly derived by the use of norlimbanol) dominates the mid-heart through the dry-down, completely ruining the experience, making the scent smell very generic like so many others. 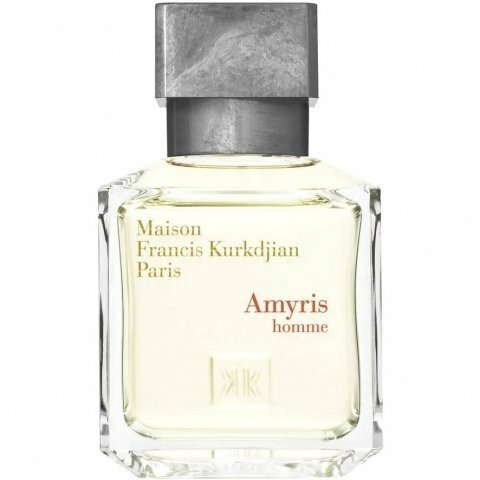 Amyris Homme is not a bad composition, but it does not distinguish itself and at its relatively high price per ml that just is not good enough (come to think of it, it is not good enough regardless). Amyris Homme earns a disappointing above average 2.5 to 3 stars out of 5. Write the first Review for Amyris homme!